Los Angeles Dodgers left-hander Clayton Kershaw was ranked the No. 7 starting pitcher in all of baseball heading into the 2019 season by MLB Network’s The Shredder. It marks the sixth consecutive season in which Kershaw was included on the list. Though, it’s the first time during the span in which he did not stake claim to the No. 1 spot. The Washington Nationals’ Max Scherzer now boasts such honors. 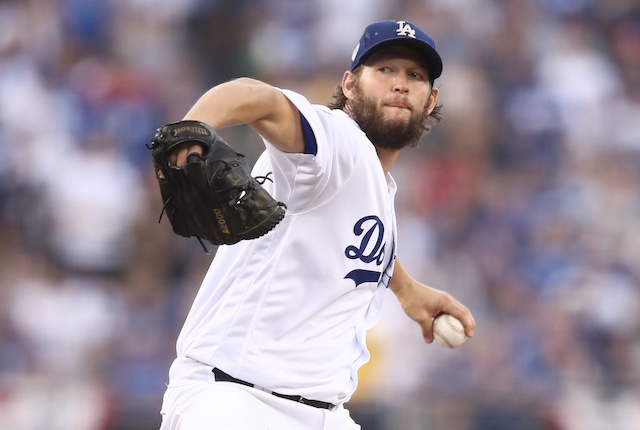 The 2018 season was a unique one for Kershaw in which he was forced to reinvent himself on the mound to compensate for the persistent back injuries that have plagued him in recent years. In 26 starts during the regular season, Kershaw went 9-5 with a 2.73 ERA, 3.19 FIP and 1.04 WHIP over 161.1 innings. 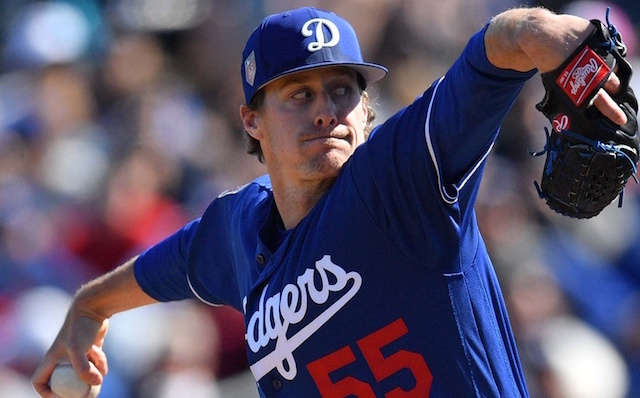 He posted a strikeout rate of just 23.9 percent and additionally saw declines in both swinging strike percentage (11) and average fastball velocity (90.9 mph). Kershaw followed up that performance with mixed results in the postseason, going 2-3 with a 4.50 ERA and 1.07 WHIP across 30 innings pitched. He enjoyed his best work in the National League Division Series, tossing eight shutout innings in Game 2 against the Atlanta Braves. Dating back to the 2017 season, Kershaw ranks fourth in all of baseball with a 159 ERA+. Ahead of him are only the Boston Red Sox’s Chris Sale (175), the Cleveland Indians’ Corey Kluber (173) and Scherzer (173). Kershaw hopes to return to that level of excellence in 2019 with a full offseason of rest. He has prioritized his health this winter in an effort to avoid future disabled list stints and experimented with biomechanics to regain velocity on his fastball.